Office culture has evolved more over the past decade than anytime in the last century — from flexible workspaces to the rise of the co-working and on-demand space. Traditional corporate offices are moving away from the white-collar cubicle of the mid-19th century and big players like Google and Facebook have shown us how modern work places can be fun. Confined cubicles are less common, and co-working companies like WeWork, Hub Australia and Spaces are hosting an ever-growing freelance workforce. But the humble office desk is a mainstay — at least for now. 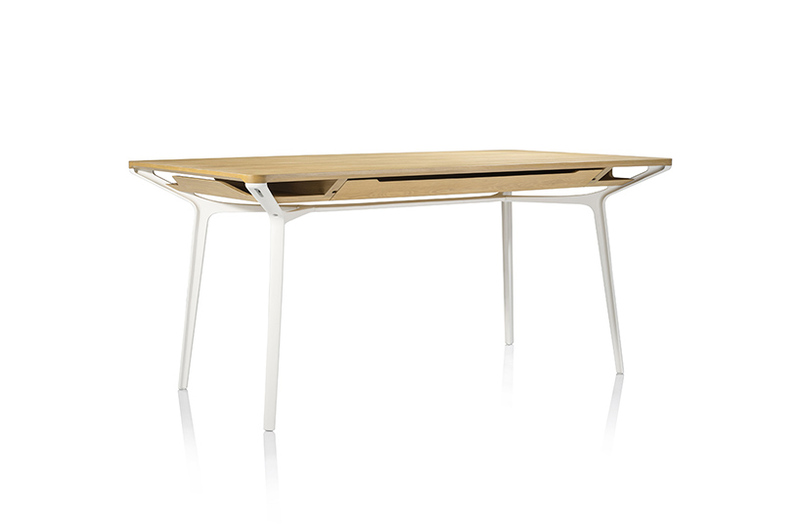 Gabrielle Deed from DB Projects has submitted her top modern office desk picks. Simple, minimal desk with a solid top available in various oak finishes including grey oak, brushed light oak, brushed black oak, smoked oak or Sucupira. The top includes a small hidden drawer to stow away your office supplies. The legs come in bronze, bright chrome, nickel or black painted steel. 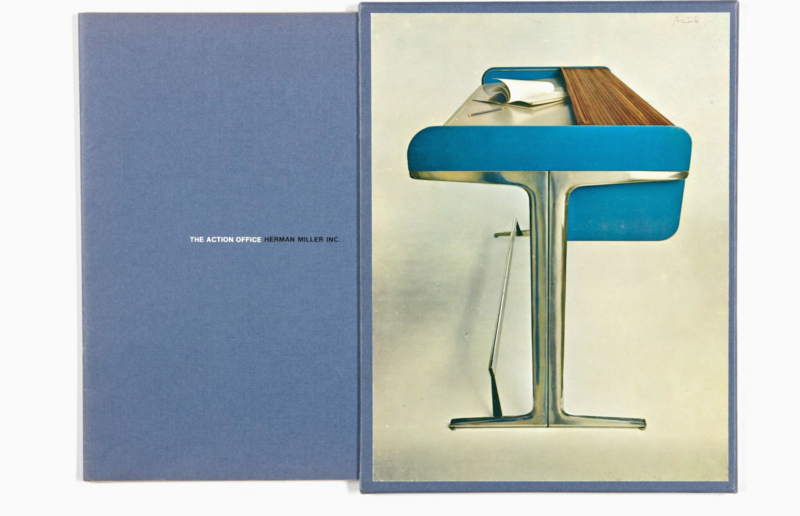 This Italian-designed desk has been available since 2001. An executive, perhaps not so humble, desk with two 4-drawer chests and one door with internal open compartments. The structure and the dividers of the top are in poplar plywood and solid maple. 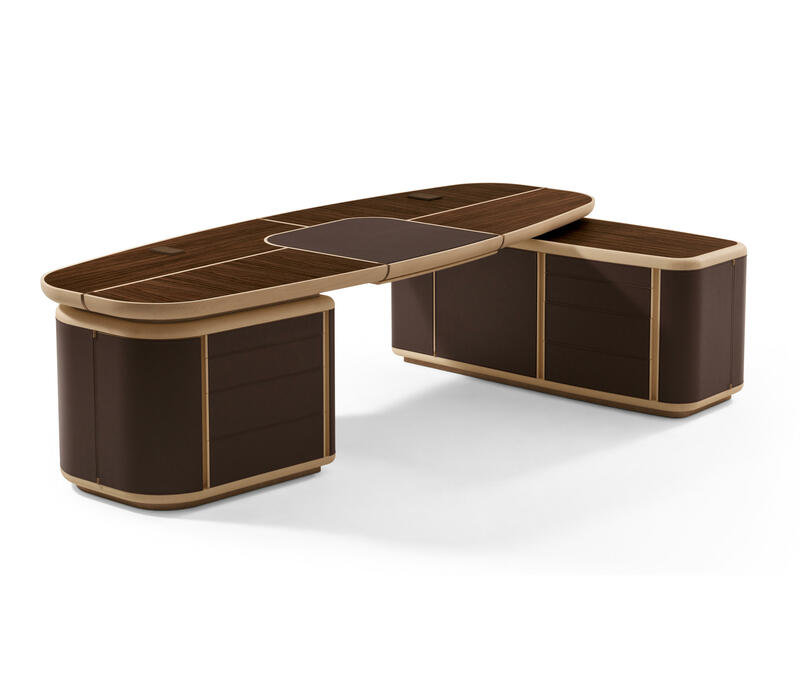 The top is available in saddle leather or in Indian rosewood with central insert in saddle leather. It is equipped with two adaptors to charge all your gadgets. The chests of drawers are in curved plywood covered with saddle leather, that have completely removable drawers with recessed sliding runners and silent system closing. A bold statement. When designer David Cameron first envisaged the Circle Design, he wanted a piece of furniture that was simple, functional and beautiful for his work as an interior architect. He began to design with the idea of helping workflow without distraction. Circles first desk "Oosoom" is the outcome. Its full-width drawer allows the users to put objects out of sight, out of mind’ as they concentrate solely on their work. The removable top allows monitor cable to run through the bodies cavity for multiple power outlet options. 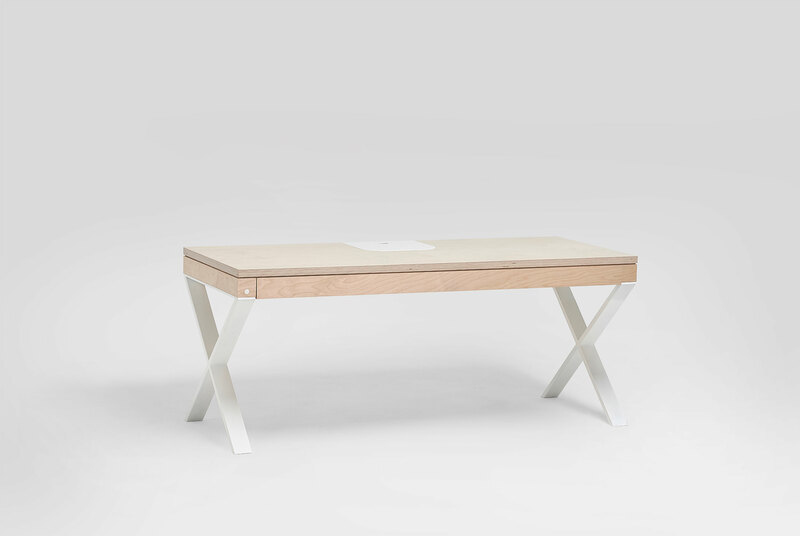 The Classic Desk uses powedercoated steel legs with a high quality birch plywood top and a white acrylic monitor stand. The Oosoom Premium is a step up from the Classic, it incorporates high quality oak legs with a synthetic acrylic stone top and body. Having both a reductive and utilitarian approach to design leaves this furniture with a refined aesthetic. Beauty comes solely from their purpose; the function they serve. A desk that suits any space and compliments any workstations. All Circle’s furniture aspire to the notion of clean workspaces and tidy home offices being simple, functional and beautiful. European design with local manufacturing has improved lead-times. 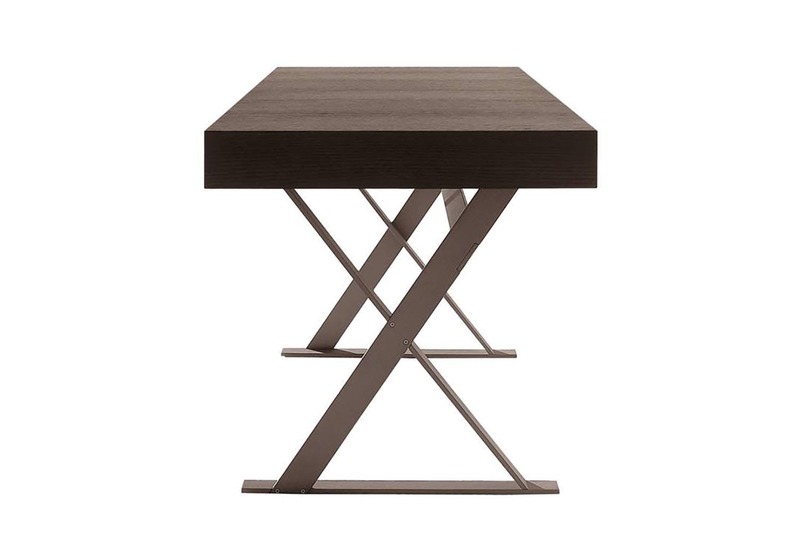 Collector desk is designed by Gamfratesi for Porro with metal structure in lead effect varnished finish on which are grafted a top and some drawers in apple tree essence finish. The Collector desk's construction rotates around the essential open structure, a metal bridge onto which various elements are mechanically hooked: drawers, containers, interior panels and a work surface. 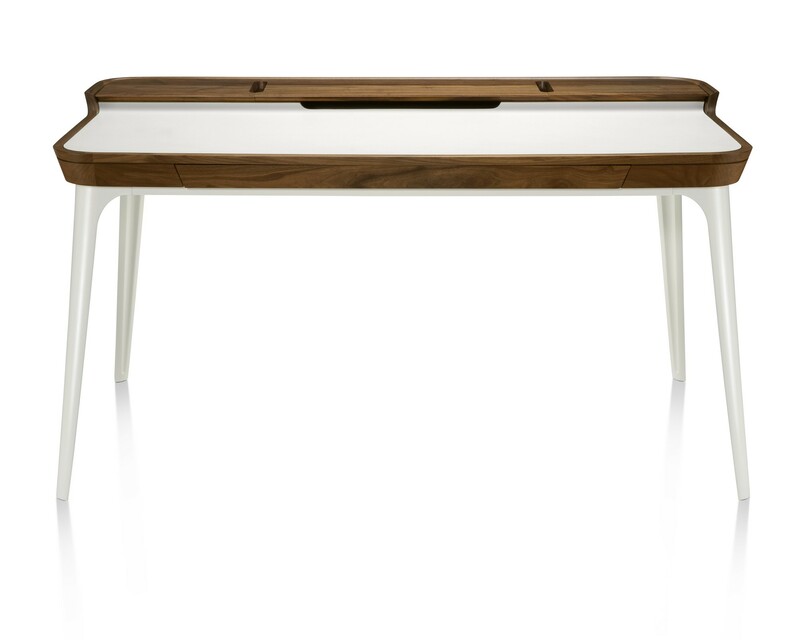 The Cupertino desk combines workspace and storage in a perfect home office solution. 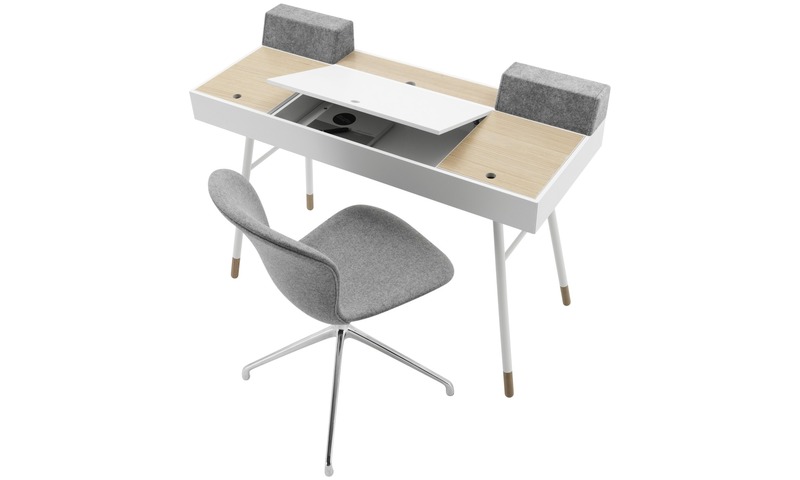 Different compartments in the desk allow you to keep your work area clutter free and the clean lines and slim proportions provide a minimalist touch to your work area. Available in a choice of sizes and matt white lacquered with oak panels or espresso oak veneer with walnut veneer panels. A light design and feel with Bo Concepts website also recommending using their professional assembly service to ease the home assembly process. The Carafe table, by Australian designer Charles Wilson, responds to these shifting conditions by providing an attractive, adaptable work and entertaining surface with subtle storage options. Hidden drawers enable users to store objects and assorted work clutter, allowing the table to transform quickly and easily, transforming from work to dining modes. Discrete, carved slots in drawer bases allow easy cable connectivity. The desk comes in various options. 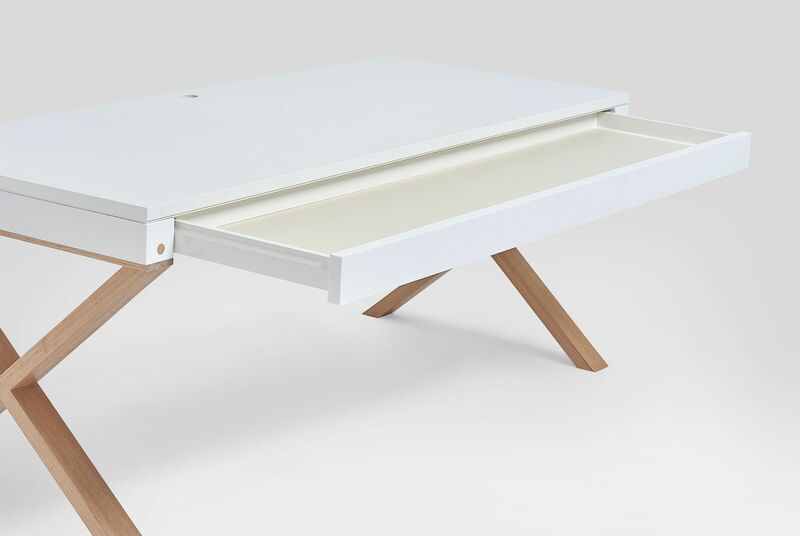 The Airia Desk is a functional desk with cord management, storage drawers and a durable work surface whilst also being a beautiful, designer piece you’re happy to display in your home. An uplifting orchestration of form and functionality, the Airia desk supports technology with simple, integrated cord management and an elevated second surface to keep the primary work area clutter free. 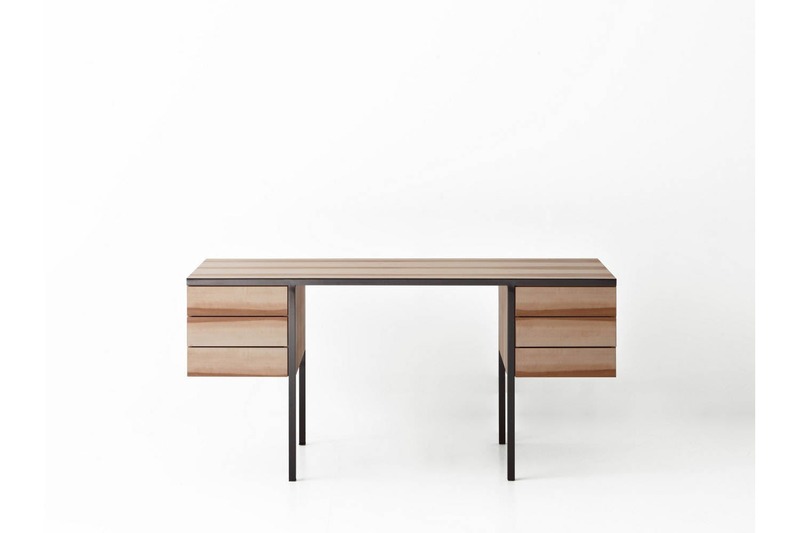 Materials include solid walnut frame with inset white laminate, cast aluminium legs and cork lined drawers. 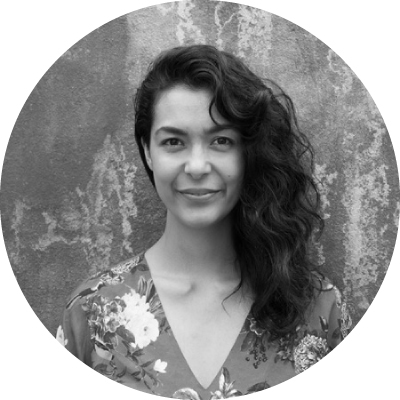 The Urban Developer will occasionally publish opinion pieces written by outside contributors representing a wide range of viewpoints.